This is a sponsored program with Mums the Word Blogger Network and Cogito. All opinions are always 100% my own. Have you ever owned a Smartwatch that enables you to stay connected to all your devices? I can say that I haven't and really don't know anyone who has, but i'd love to own this nifty technology. I think the only other time I saw this happen was on the Inspector Gadget Cartoon! Well, now you can go go gadget all your gadgets with this Wearable Technology. Smartwatches and fitness trackers are in popular demand! Right now, get $50 USD store credit with code: BLOG50 This expires on Nov 30, 2014! Introducing the COGITO Classic , a stylish connected watch from ConnecteDevice. COGITO CLASSIC brings together the power of a connected watch with the sophistication of a precision-crafted timepiece, merging classic analog movement with a lucid digital display. You’ll know what’s happening on your phone even when it’s tucked away! - Device Low Battery Alerts. - Trigger your device camera at the push of a button. One of the best parts? You don't have to charge your watch battery every day! The COGITO comes with a button-cell battery that lasts for up to a year! 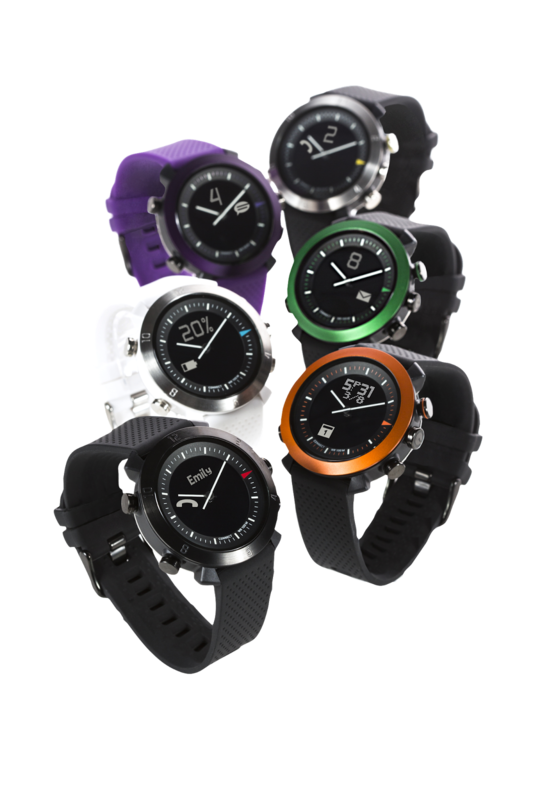 The Cogito Classic is also 10ATM water resistant - how cool is that?! A perfect gift for anyone you know who needs to stay connected and loves nifty gadgets!